Two galleys provide up to 100 meals at one sitting. Six passenger lavatories, including disabled access facilities, are provided as well as a rest area and mini-galley for the aircrew. The VC-25 also has a compartment outfitted with medical equipment and supplies for minor medical emergencies. 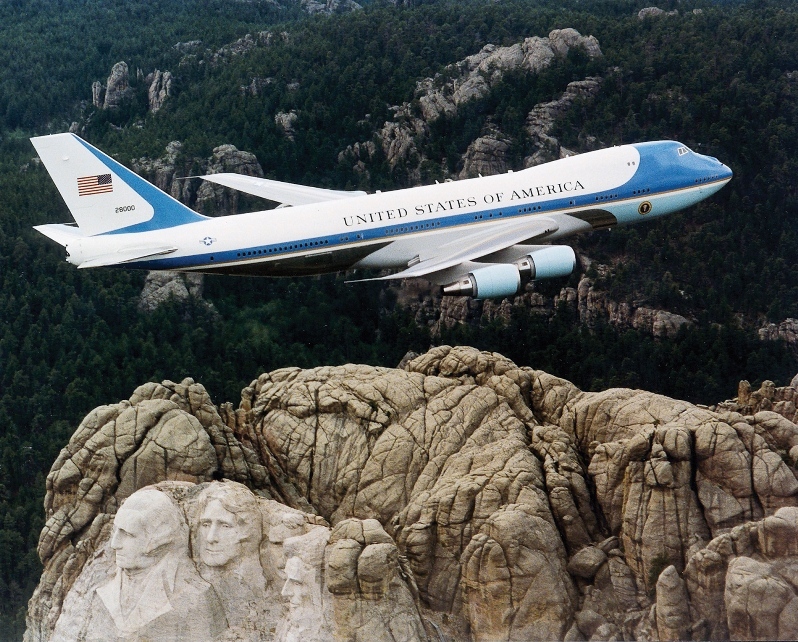 Presidential air transport began in 1944 when a C-54 -- the "Sacred Cow" -- was put into service for President Franklin D. Roosevelt. 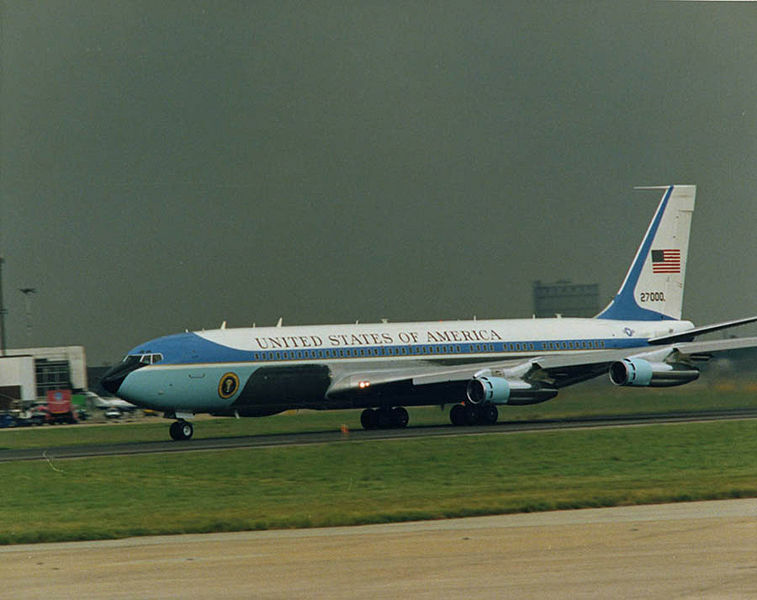 The first purpose-built aircraft to fly the president of the United States, the Sacred Cow is the only VC-54C ever constructed. 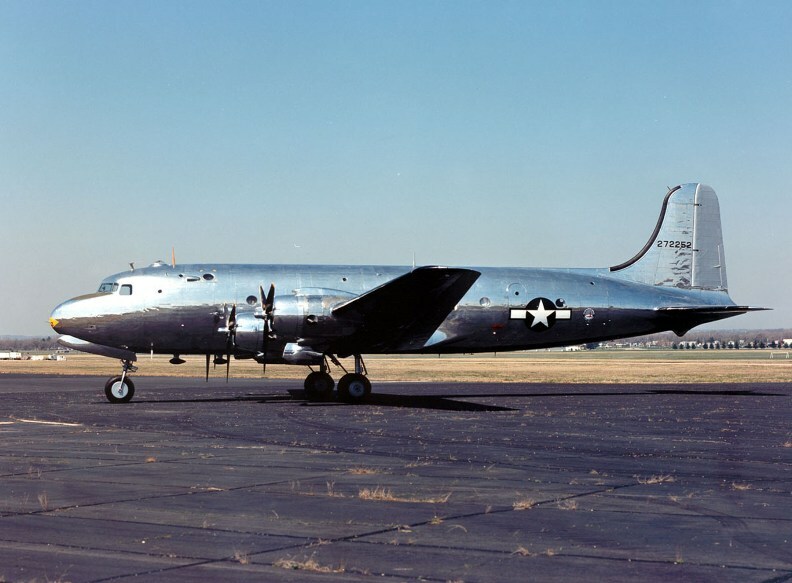 To an untrained eye, it looks like any other C-54, but the Sacred Cow is unique. 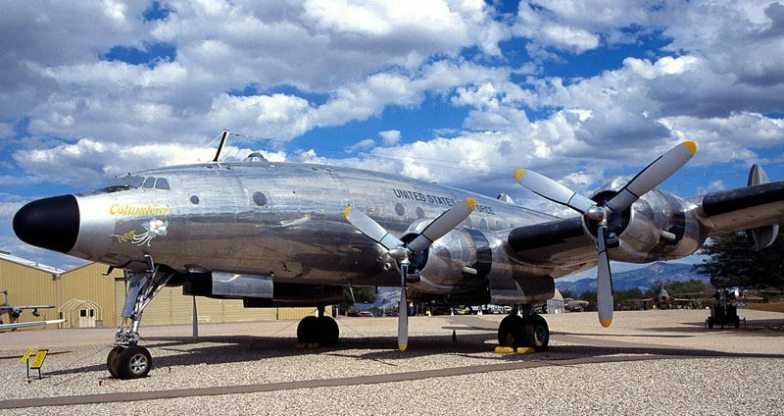 Beginning with a C-54A fuselage and C-54B wings, Douglas made numerous modifications. For example, the ailerons are different from any B model. Furthermore, the Sacred Cow underwent extensive interior modifications. 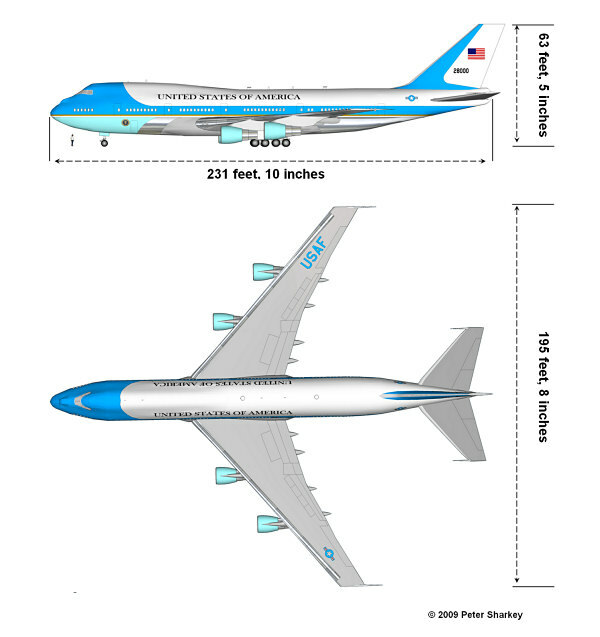 One special feature is an elevator behind the passenger cabin to lift the president in his wheelchair in and out of the plane -- an otherwise difficult procedure. The passenger compartment includes a conference room with a large desk and a bulletproof picture window. President Roosevelt used the Sacred Cow only once before his death in April 1945; however, the Sacred Cow remained in presidential service during the first 27 months of the Truman Administration. On July 26, 1947, President Truman signed the National Security Act of 1947 while on board the Sacred Cow. 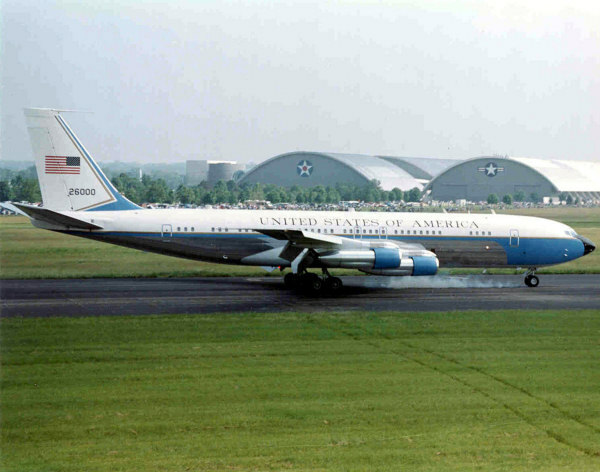 This act established the Air Force as an independent service, making the Sacred Cow the "birthplace" of the USAF. 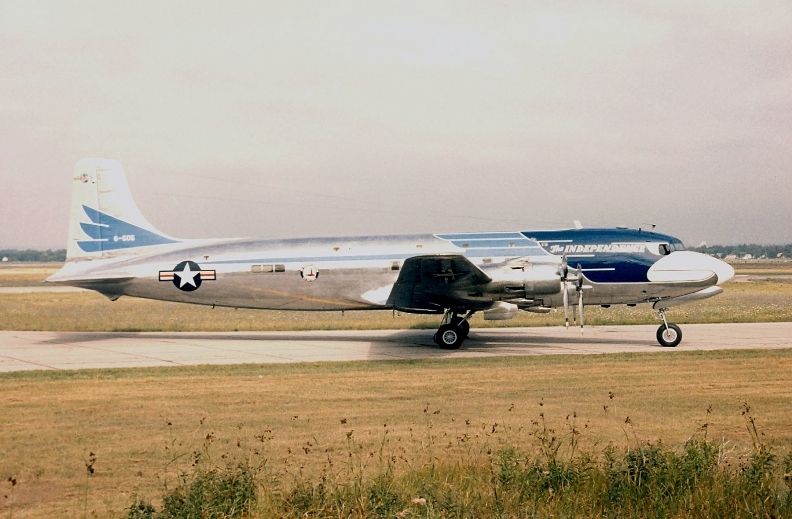 Then came the "Independence," a DC-6 (Liftmaster), which transported President Harry S. Truman during the period 1947 to 1953. President Dwight D. Eisenhower traveled aboard the "Columbine II" and "Columbine III" from 1953 to 1961.